I bought these shadows ages ago and find myself going to them back again and again. Willow is a gorgeous shimmery satin-taupe colour. I swatched it in Boots and fell in love but it was sold out at the time. When I did find it there was a 3 for 2 offer on so ... shopping happened. That's how I ended up picking up Crushed Walnut. A rich, deep chocolatey mat brown. I actually walked away with the perfect 6-piece neutral palette that day with everything I bought. I'm guilty of overlooking Natural Collection when I'm in Boots, but I really should pay them more attention. The eyeshadows are good, especially for the price, with a great colour payoff and last well with a little bit of primer underneath, like most shadows. And I can't fault their loose powder either. 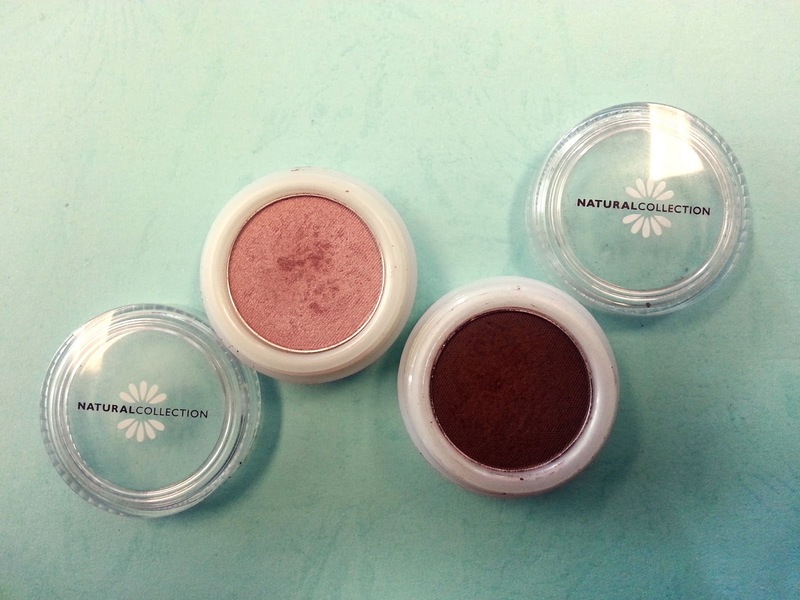 Have you bought any Natural Collection recently? Or are you like me and you forgot just how good a budget buy can be?